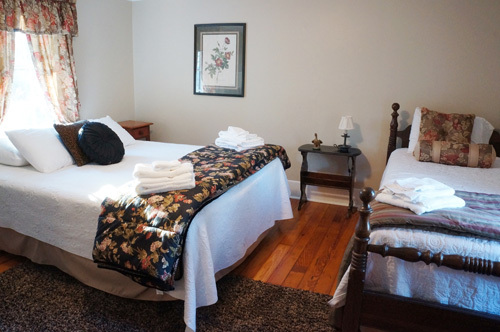 The guest houses at Historic Rosemont Manor are a great additional lodging option for out-of-town guests who are visiting the area for your wedding festivities or other special occasion. 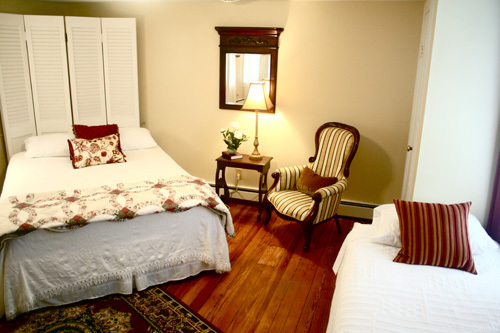 These historic, beautifully restored houses are fully furnished, and offer all the conveniences of home. 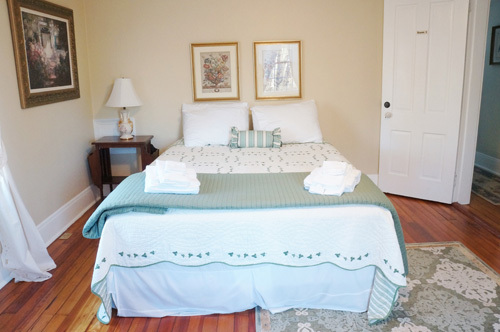 The guest houses at Rosemont are a great way to accommodate your friends and family so that they can fully enjoy your special day and their visit to the area. 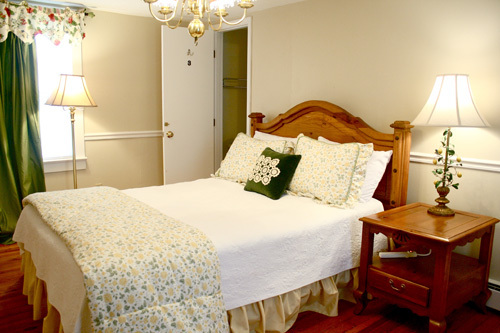 To inquire about renting one or more of the guest houses at Rosemont, call 540-955-2834 or email roomreservations@rosemont1811.com. 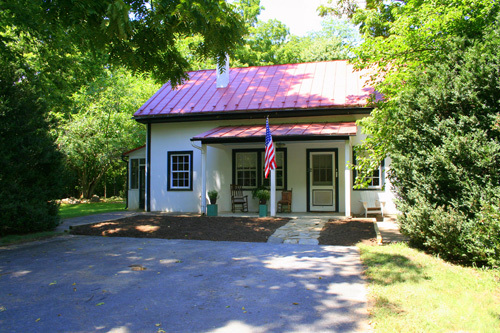 A four-to five-bedroom, five-and-a-half-bath guest house on a secluded, partially wooded two-acre lot located within the Rosemont Estate grounds. The house was the location of CIA command post operations on October 12-14, 2012 when CIA Director General David Petraeus was a guest. 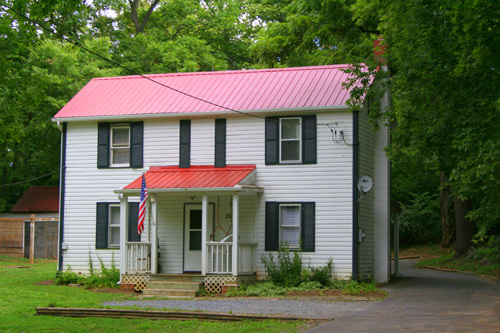 The house is fully furnished with a living room, dining room, full-sized kitchen, hardwood floors, and Fijitsu heating and cooling inverters. 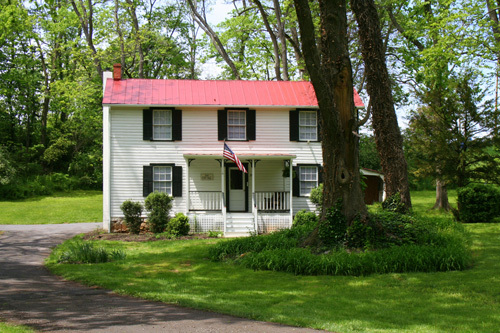 The house also has a front porch and screened-in side porch. A picnic table, outside grill and brick fire ring are available. 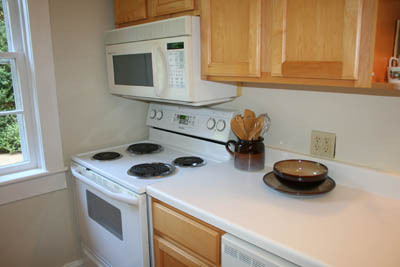 There is plenty of parking and utilities are included. 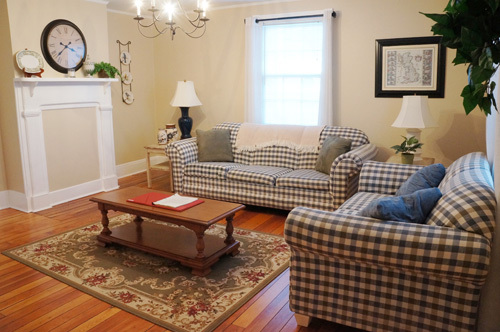 The Living Room: One queen sleeper sofa, one single sleeper sofa. Sleeps three. 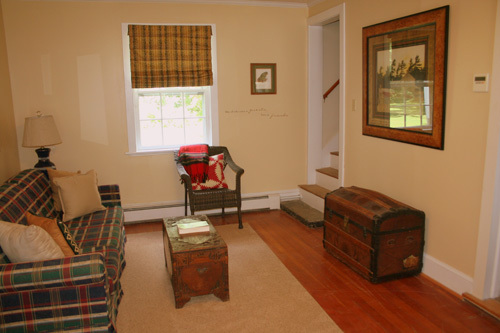 The Sitting Room (off of the Dining Room): One queen sleeper sofa. Sleeps two. Bedroom 1: One queen bed. Sleeps two. 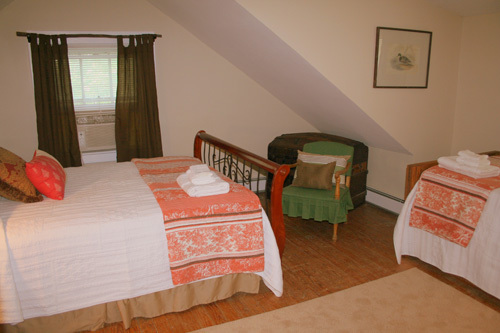 This bedroom (called “The Nook”) can be rented separately from the CIA Guest House. It has its own separate side entrance. 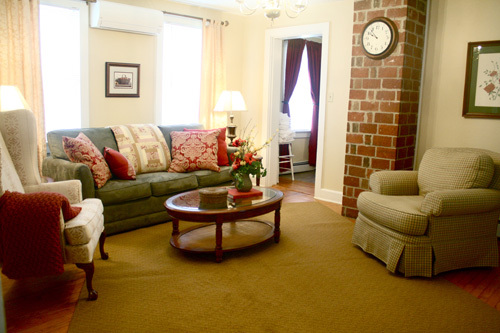 Private full bath (tub/shower) which can be shared with CIA Guest House guests if desired. Bedroom 3: One queen bed and one single bed. Sleeps three. 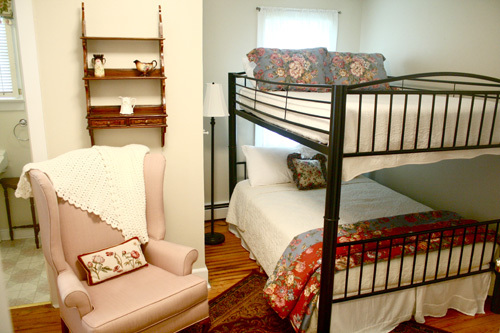 Bedroom 4: One queen bed and one single bed. Sleeps three. 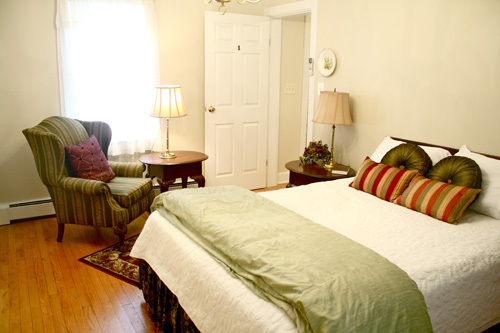 Bedrooms 3 and 4 share a half bath in the hallway. A six-to-seven-bedroom, six-bath guest house nestled in a secluded, mostly wooded five-acre lot within the Rosemont Estate grounds. 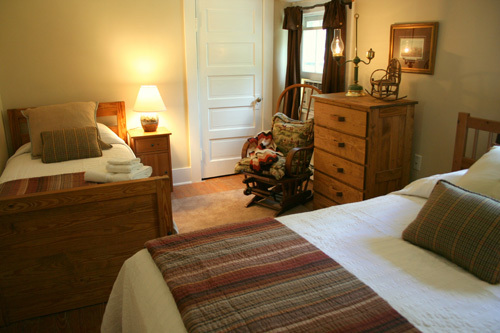 Guest rooms are named after Confederate officers who fought in the Battle of Berryville on the Rosemont Estate grounds and in the Shenandoah Valley campaigns. 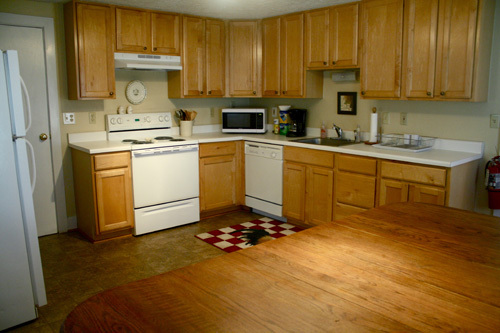 The house is fully furnished with a living room, full-sized kitchen, hardwood floors, washer/dryer, Fijitsu heating and cooling inverters. 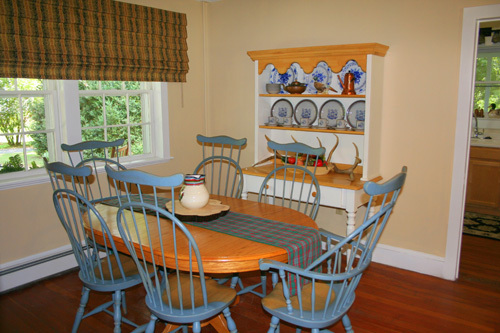 An Amish-made oak table is in kitchen with four leaves that can seat up to 14. 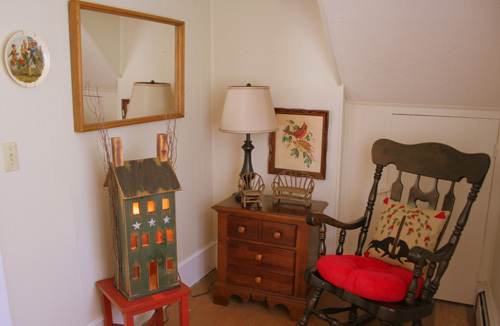 The house also has an enclosed back porch, side porch, and front porch with swing. A picnic table, outside grill and brick fire ring are available. There is plenty of parking and a private exit and entrance. Utilities are included. The Living Room (Bedroom 1): One queen sleeper sofa. Sleeps two. Bedroom 3: One queen bed. Sleeps two. 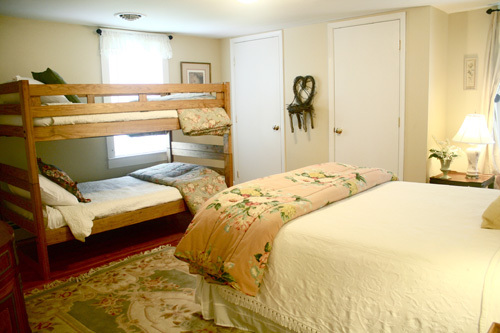 Bedroom 2: One queen bed and one child’s bed. Sleeps three. Full bath (shower) off of Bedroom 2. Guests on main floor typically share this bathroom. Bedroom 5: One queen bed. Sleeps two. 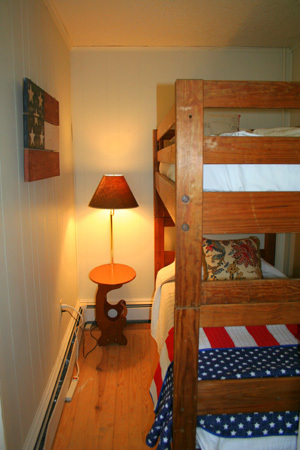 Bedroom 4: One queen bed and set of single bunk beds. Sleeps four. Bedroom 6: One queen bed. Sleeps two. Bedroom 7: One queen bed and one single bed. Sleeps three. 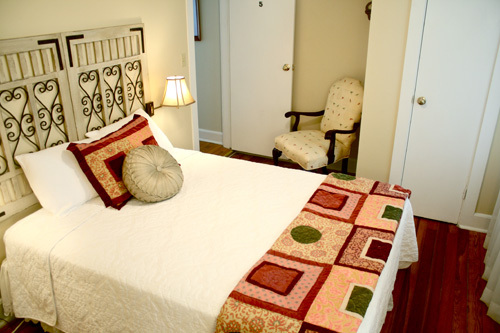 Access to bedroom 6 through bedroom 5 or full bath within suite. 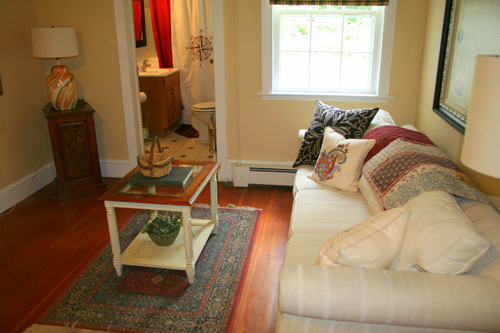 Full bath (tub/shower) in hallway with access for all house guests. A four-to-five-bedroom, five-bath guest house on a secluded, mostly wooded, three-acre lot within the Rosemont Estate grounds. 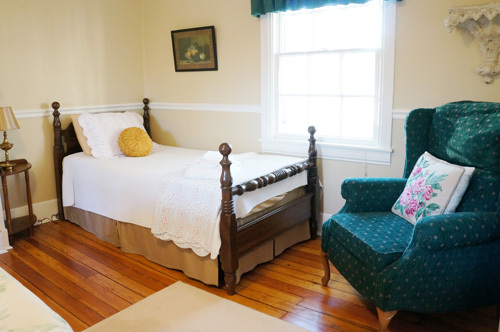 Guest rooms are named after Union officers who fought in the Battle of Berryville on the Rosemont Estate grounds and in the Shenandoah Valley campaigns. 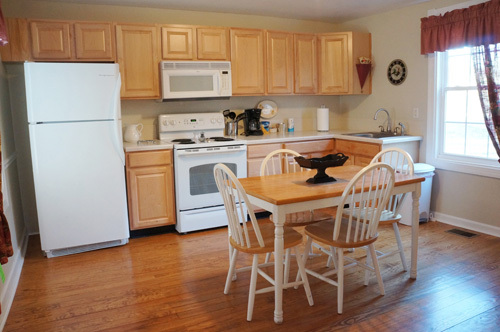 The house is fully furnished with a living room, full-sized kitchen, hardwood floors, washer/dryer, Fijitsu heating and cooling inverters and enclosed back porch. A picnic table, outside grill and brick fire ring are available. There is plenty of parking and a private exit and entrance. Utilities are included. 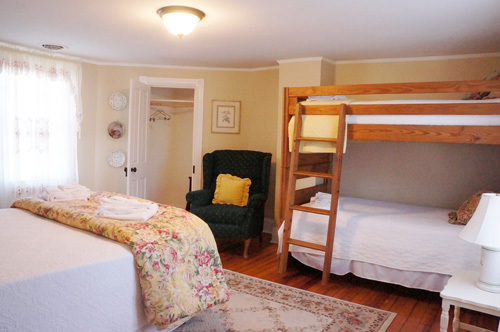 Bedroom 2: One queen bed and one single bed. Sleeps three. 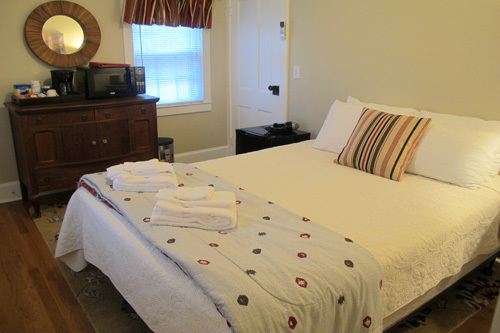 The guest cottages at Rosemont may be rented by the general public on NON-WEDDING weekends/weekdays, based on availability.To inquire about renting one or more of the guest cottages at Rosemont, call 540-955-2834 or email roomreservations@rosemont1811.com.